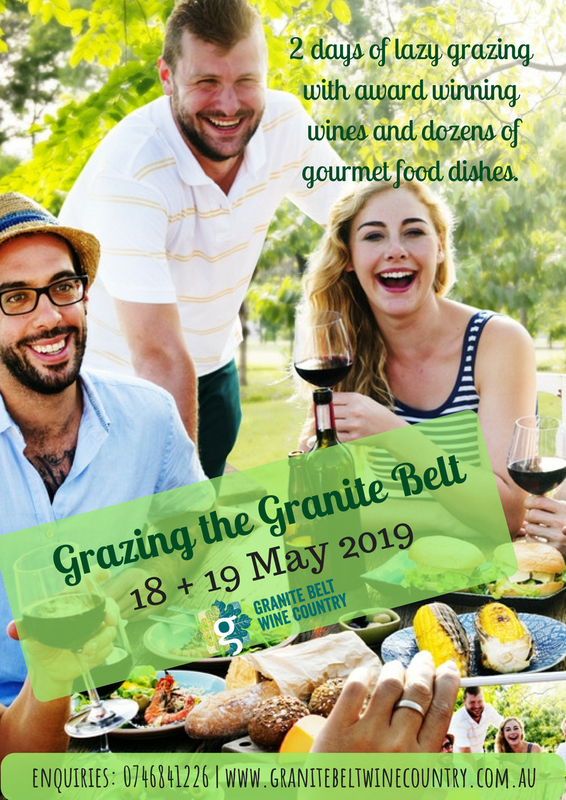 2 days of lazy grazing with award winning wines and dozens of gourmet food dishes. Spend Saturday on the hop on hop off bus visiting the participating venues and enjoying the wines on offer as well as indulging in the wonderful meals prepared with local ingredients by our food artisans. Tickets include 4 x Food Vouchers, 4 x Wine Vouchers, 1 x Breakfast with the Winemakers Ticket and the hop on hop off bus on Saturday. Menu’s will be available on our Facebook page so that you can create your own itinerary before you arrive. Why not join our Grazing the Granite Belt Facebook Group and keep up to date.